An evolving page illustrating the dynamic range capabilities of Fujifilm’s X-Trans sensor. 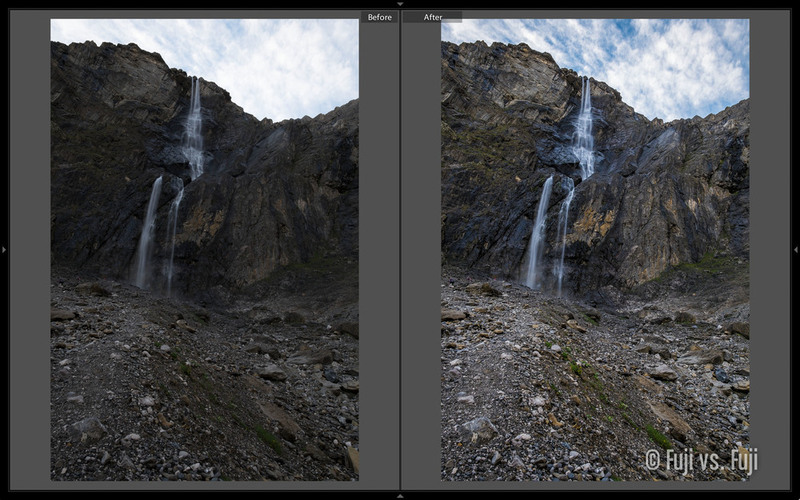 This will be an ongoing segment where I’ll post screen captures of images with the “Before / After” view mode active in Lightroom. This is to give an idea of just how much dynamic range is afforded to us Fuji shooters. I’ll also include some JPEGs to illustrate how much detail or correction can be done with “FINE” quality JPEGs. Click to enlarge. Enjoy. JPEG: Auto ISO chose 800 in order to get the Dynamic Range up to 400. The shadows were still quite dark. I could have exposed this better too.